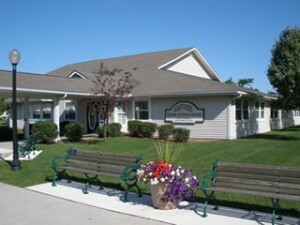 In compliance with the National Council on Aging’s definition of a senior center, we are located in the heart of the community, and are considered the focal point and the point of entry to the aging network. The mission of the Eastside Senior Citizens Association is to provide programs and services to the older population which promote health, safety, and independence thereby encouraging seniors to remain in the community for as long as possible. Our program has grown over the past 40 years through the hard work of senior volunteers, community leaders and a dedicated staff who felt called to serve the senior citizens in their community. We need and encourage seniors to serve. On behalf of the Board of Directors and staff members, you are invited to join the Eastside Senior Center and learn how to “Age Confidently, Age Comfortably and Age Creatively”! Weather Report: If Kearsley Schools are closed due to inclement weather conditions, for your safety, the Eastside Senior Center is also closed. This includes evening activities. Announcements will be made on Channel 12.